E-merchants who can win the confidence of visitors will gain their business and their loyalty, and an enormous opportunity for grabbing market share and expanding sales. With your Internet identity established and your site built and hosted, it's time to turn your online shop into a thriving e-commerce business. To do it, you must win your customer's trust. E-merchants who can win the confidence of visitors will gain their business and their loyalty, and an enormous opportunity for grabbing market share and expanding sales. "How can I be certain that credit card information is protected from online eavesdroppers?" "How can I reassure customers that they are doing business with me, not with a fake set up to steal their credit card numbers?" "How do I let customers know about our security, so that they can confidently transact business with me?" Use a trusted payment gateway. Get your own SSL Certificate. If you are just beginning with an e-commerce website, you may find that using a Payment Gateway is an easier option. There are a few to choose from, and they will charge you in different ways. There is usually a flat charge for each transaction plus a percentage of each order. You should shop around and pick the gateway that suits your needs the best. The best known are WorldPay, SagePay, and PayPal. The first two will take card payments in the usual way, whereas PayPal will do this and also allow the purchaser to pay using their PayPal account. If you are not sure which to use, I would start with PayPal, you can always add one of the others later. Installed on your web server, a SSL Certificate is a digital credential that enables your customers to verify your site's authenticity and to securely communicate with it. SSL Certificate assures them that your website is legitimate, that they are really doing business with you, and that confidential information (such as credit card numbers) transmitted to you online is protected. 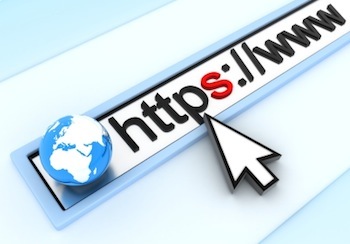 The security is indicated by a URL that begins with "https:" instead of just "http:". This means that users can confidently send private data, such as credit card numbers, to a website, trusting that SSL keeps it private and confidential. A vital component of every e-commerce website is a comprehensive security and privacy statement that describes exactly how your business secures information and uses it. (See the Flow Privacy Statement). This is extremely important to your customers. So, now everything is done, it is time to test the system.